I am so thankful this year. Thankful for a good job, to live somewhere beautiful and inspiring, to have great friends whom I can count on. But most of all this year I am thankful for my family. My own little family will be growing by one this year. If that isn't exciting enough, in a matter of days my sister will be here to stay! I moved to Montana in the summer of 2007. I knew no one, wanted to go to school for photojournalism, and Montana sounded like a romantic and wild place to live. To help me meet people I joined the UM Symphony Orchestra, the UM Equestrian Team and, most importantly, the staff of the Montana Kaimin. I built myself a little family with the people I met through these pursuits. When I met Patrick and we got married, my Montana family got even bigger. Despite the wonderful family I had made, I have always longed to be close to my family of origin again. My mom lives in Hawaii. My sister and my dad live in Oregon. A trip to Oregon is obtainable, but just far enough away to not be a regular occurrence. A trip to Hawaii is even more rare. So when my little sis came up to Montana for the wonderful baby shower she planned for Patrick & I, my thoughts were focused on convincing her to stay. I felt a very strong pull to have family together since my own little family is growing. I'm not sure what Patrick or I said that actually stuck (possible nothing, as Mr. Grayson can be very convincing as well) but something did because MY SISTER IS MOVING TO MONTANA!!! 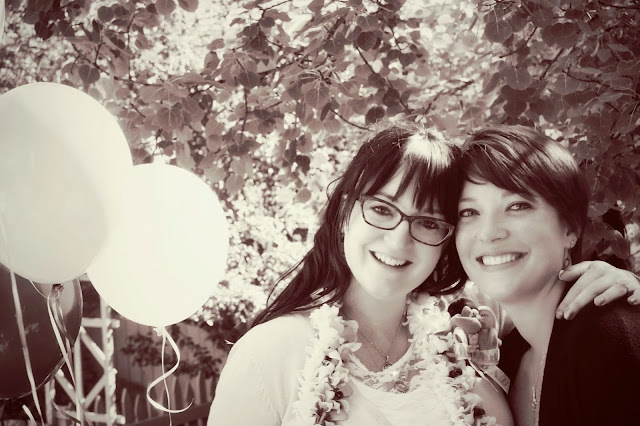 Me and sis at the baby shower. I am so overwhelmed with happiness and general joy. Thinking about doing holiday traditions together, hanging out on weekends, going to Yellowstone, watching her play hockey (? ), and most importantly, her sure presence at Grayson's birth/the beginning of his life. Not to mention the fact that she's bringing with her Mr. Jason Owens, boyfriend extraordinaire. I know Patrick is thrilled to have a funny, smart and football-savvy guy like him around (not to mention his knowledge of beer!) and I just can't wait to have them both close. 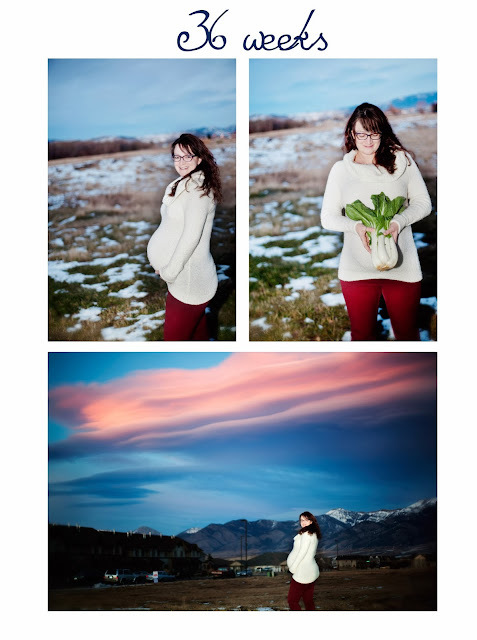 In the meantime, here are this weeks bumpdate photos (check out that beautiful sky!). Our baby is gaining about an ounce a day. He now weighs almost 6 pounds and is more than 18 1/2 inches long (about the size of some bok choy). Only a few weeks left!